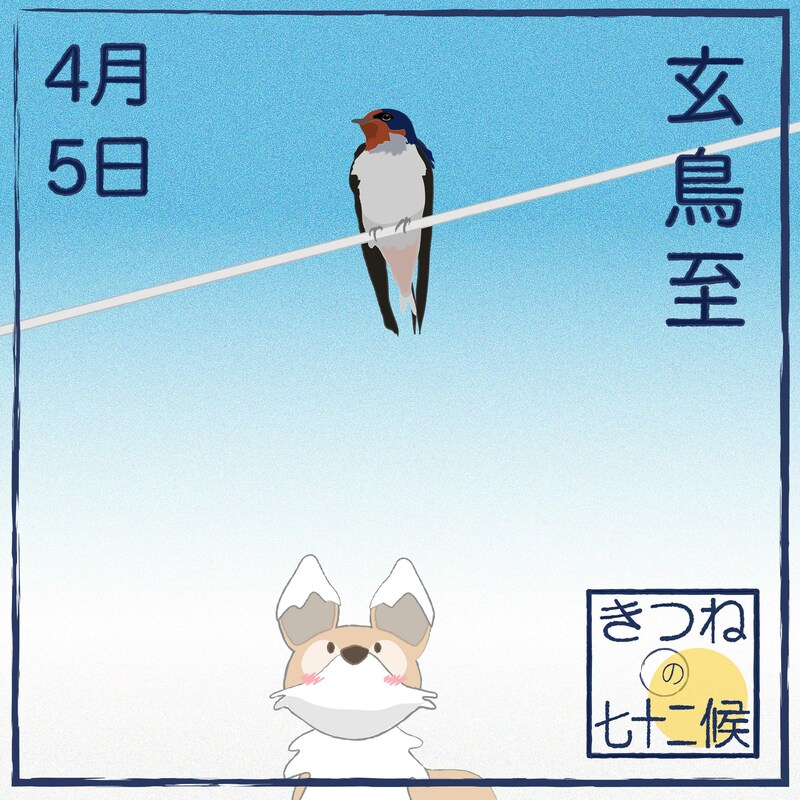 At the beginning of April, Boss Panda announced that the Bamboo Bathhouse would be having another ‘machizemi’, and dug out the large blue and red sign that announced the event to put on the front step. 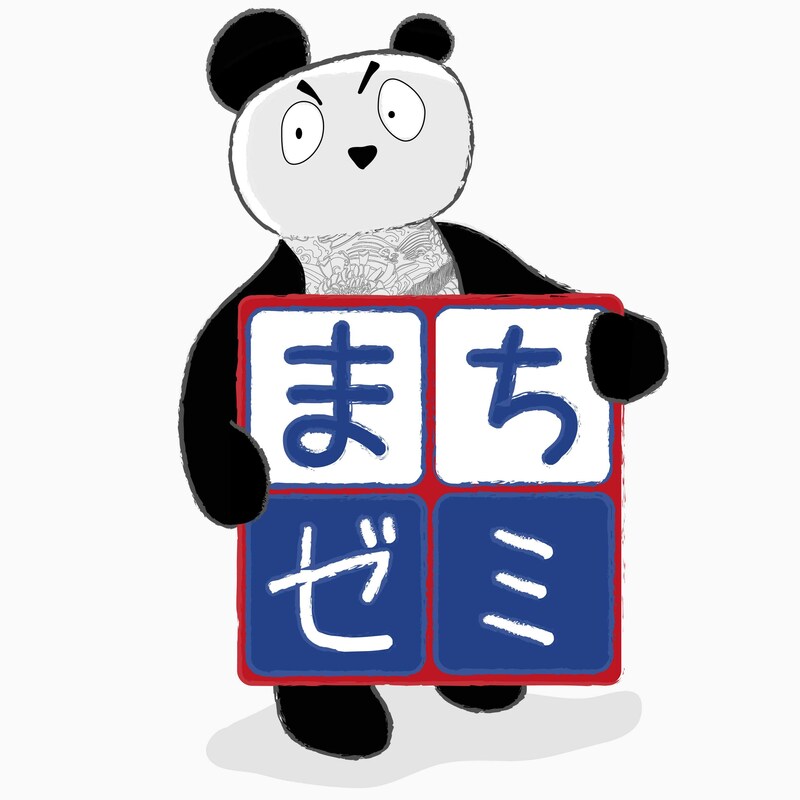 Machizemi [まちゼミ] is made up from the words ‘machi’ meaning town or neighbourhood, and ‘zemi’ from the word ‘seminar’ in English. A way for neighbourhood shops and businesses to contribute to the local community, the events can be large or small, and involve anything from a craft workshop to a cooking class or a lecture. 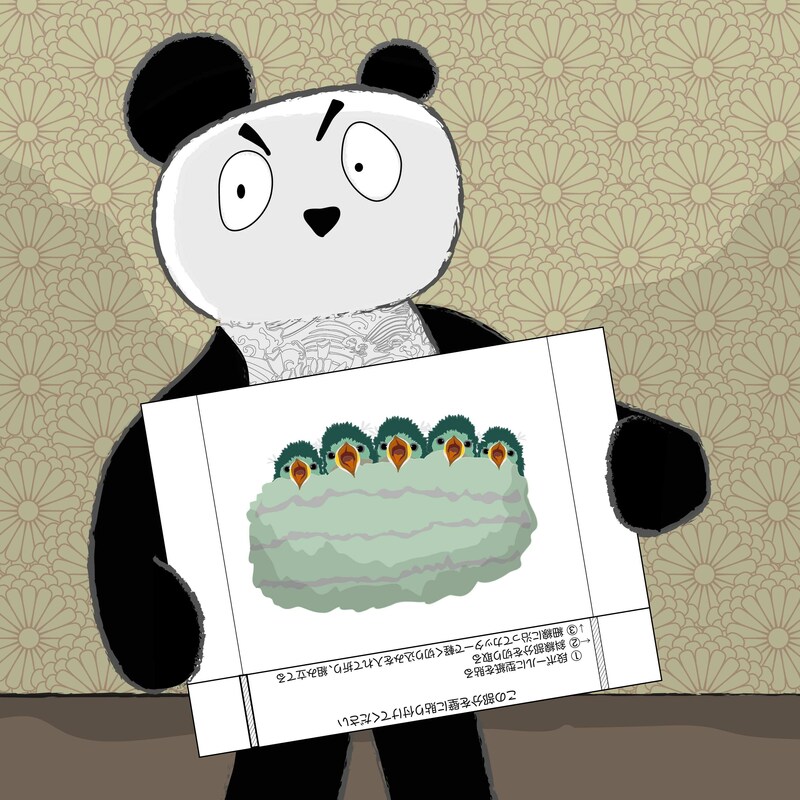 Boss Panda asked Kiku to bring him the seasonal almanac, so he could show them the planned theme of this drop-in session. When the little fox returned with the tattered old book, the large bear opened it to the 5th April and showed them that the seasonal marker was entitled ‘swallows arrive’. 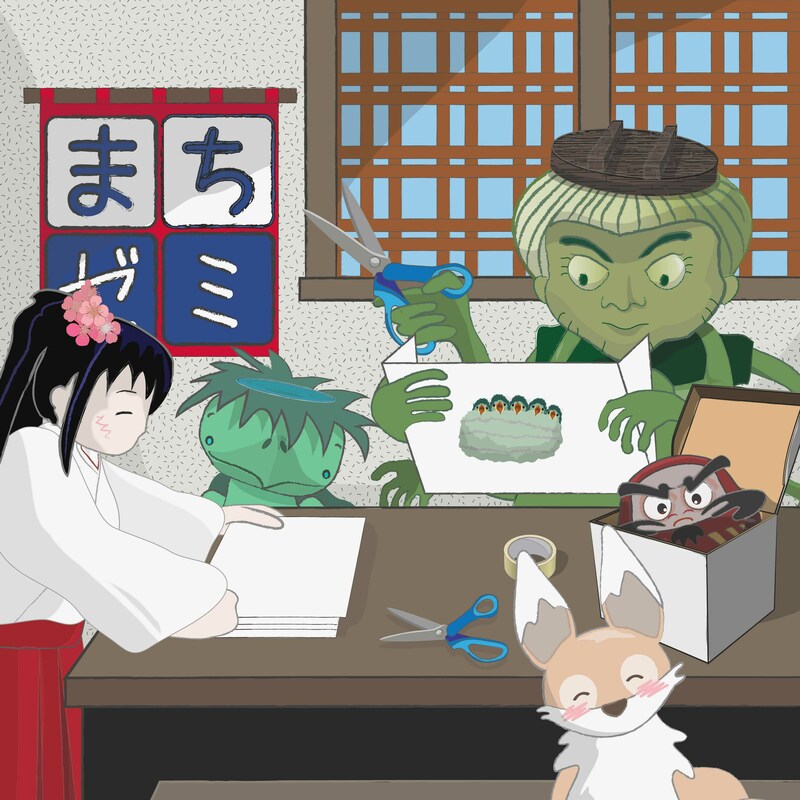 Miko-chan was very happy that the employees of Boss Panda’s other business, the White Crow Sake Brewery had also turned up to take part, as she was great friends with the three kappa, particularly chibi-kappa, the little one. 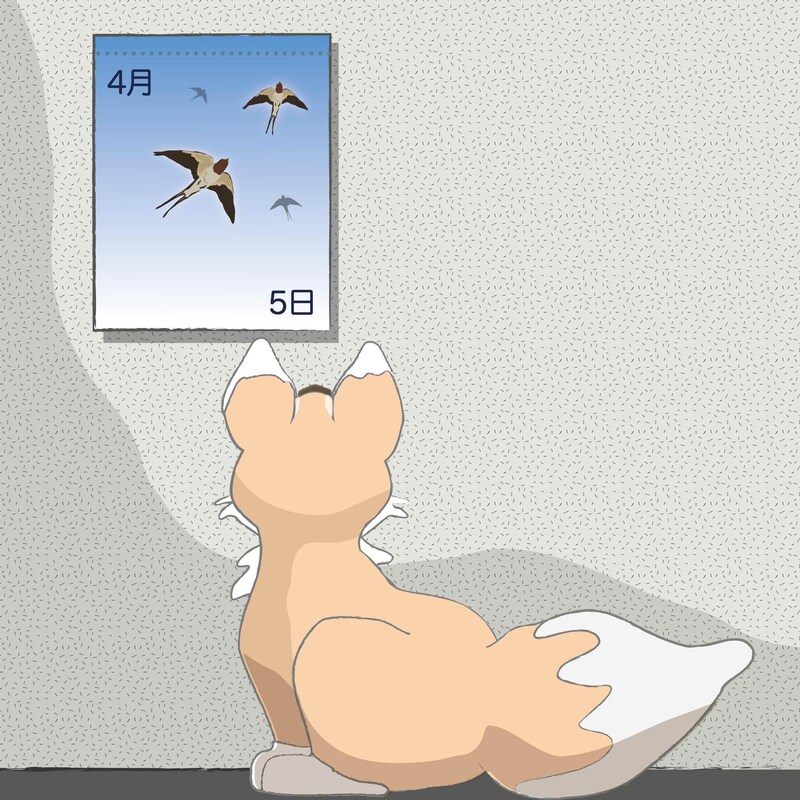 They spent the afternoon working on making the special mess collectors with Mama Kōjin, ensuring they made plenty to give out to local residents who were not able to attend the session, and Boss Panda gave people advice on how to hang them up, and how to encourage nesting. 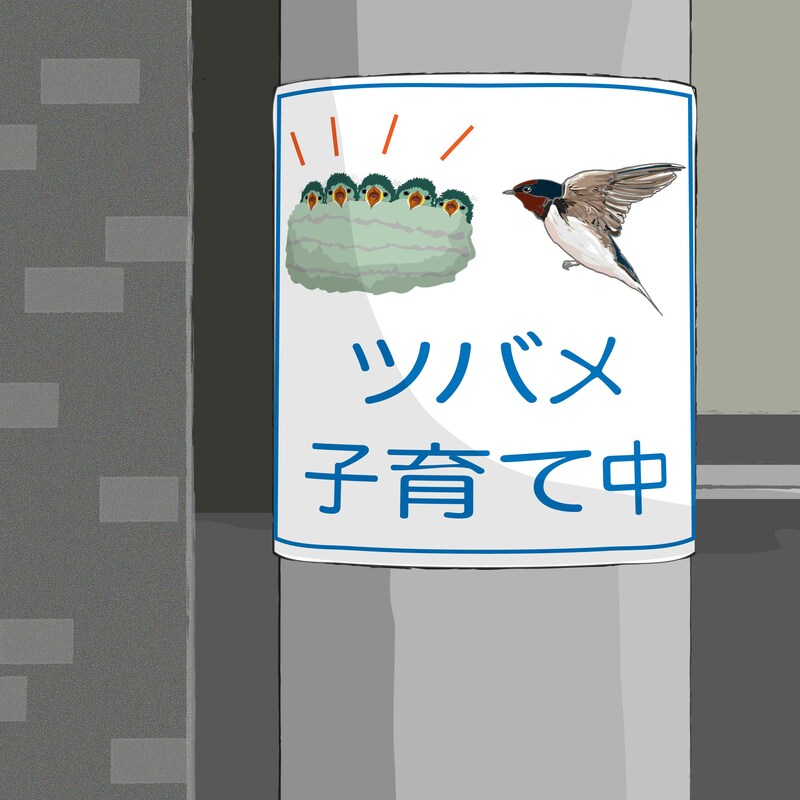 Miko-chan and Kiku later helped by giving out posters that explained that swallows were raising their young, for local residents to display, particularly in commercial areas and stations, which were common spots for the birds to nest. I adore your stories and marvel over the illustrations. I so hope that they are published one day. This is lovely. Thank you.